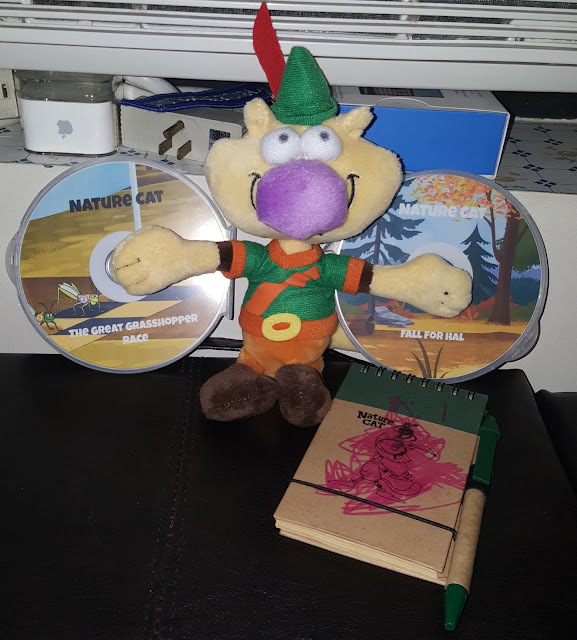 Disclosure: We were sent a Nature cat set that included two brand new episodes to review. No compensation was received. As always all words and opinions expressed are 100% my own. It's always great when your kids get to watch cartoons that not only are cute but also provide some sort of educational message. Nature Cat is definitely one of those shows. It comes out on PBS and kids get to go on fun nature adventures and learn many fun facts along the way. a special package that included the first ever Nature Cat plush and two brand new episodes that are set to air this coming Monday, May 23rd. 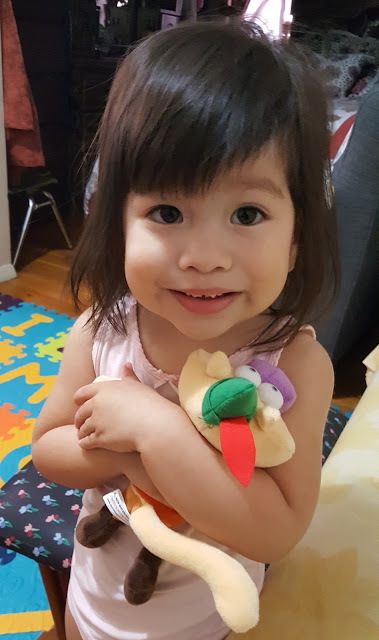 I had to say yes, I mean we would get a Nature Cat plush that Valentina could hug while she watched him go on adventures. Plus,we'd get to view two not yet released episodes and let you know what we thought about them. 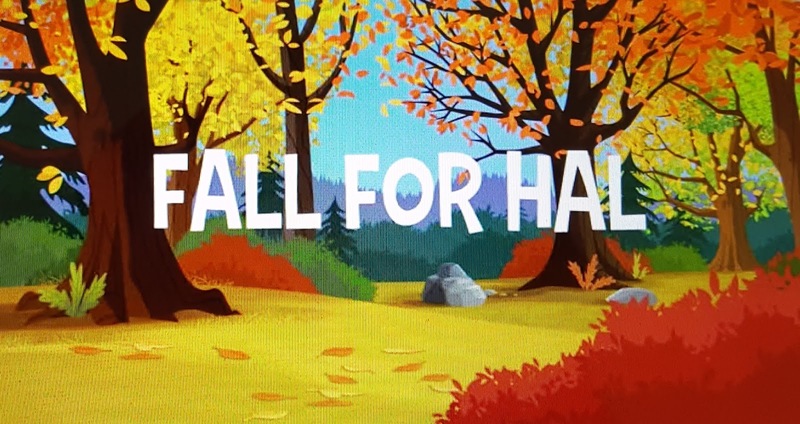 In this episode kids get to learn about friendship and helping someone else feel better and happy, while they learn the differences between Fall and Spring/Summer. Here we learn that the first day of Fall is Halls favorite day. Every year they hold a scavenger hunt that is filled with all of his favorite things that he loves from Fall. Hal is very sick and can't join in his favorite festivities. 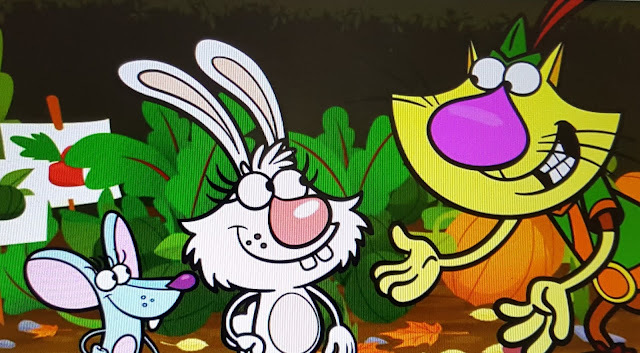 That's where Nature Cat comes in, with a beautiful message of being a good friend. He gets the rest of the gang together and they on a mission to find Hals list of 6 items that remind him of Fall. Along the way the kids get to learn fun facts about the colors and how they are darker earlier in the Fall. This episode we really loved, because Fall is our favorite season also and Central Park here in NYC is seriously the best! In this episode kids get to learn a lot about grasshoppers, when they are introduced to Hal's grasshopper, Dustin Hopman. 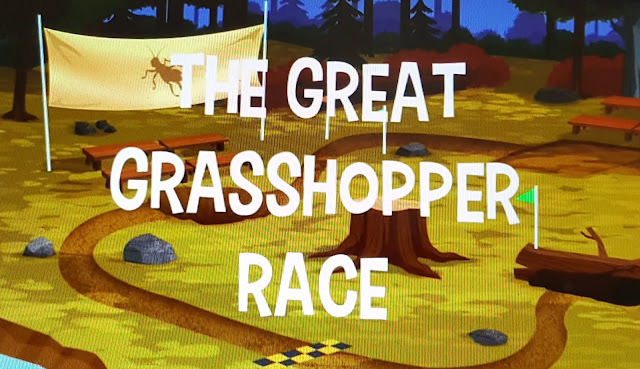 Hal's grasshopper, has been training for the great Grasshopper race but when race day comes and he disappears from the race course before the race begins, Hal and friends go on an adventure to find Dustin. Along the way kids get to learn fun facts about grasshoppers like how they can jump 20x their own length, Valentina loved watching the jumping parts. Kids get to learn about nature and making new friends while laughing. They also get to learn fun facts about animals. Valentina could not stop watching Nature Cat and carrying him around, while she jumped and laughed. Make sure to check out the all new Nature Cat episodes coming out next week on PBS. 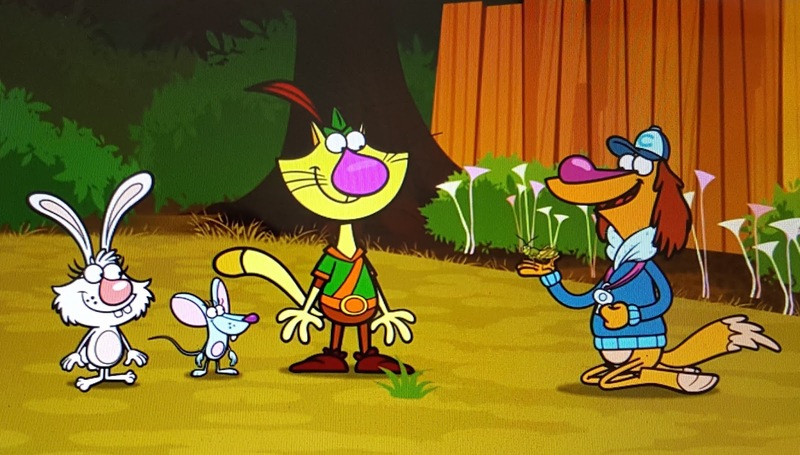 3 comments on "Nature Cat on PBS Review"